Our Tasting Room serves Ciccone Estate Grown Wines, planted about 22 years ago on these rolling hills of Leelanau Peninsula. 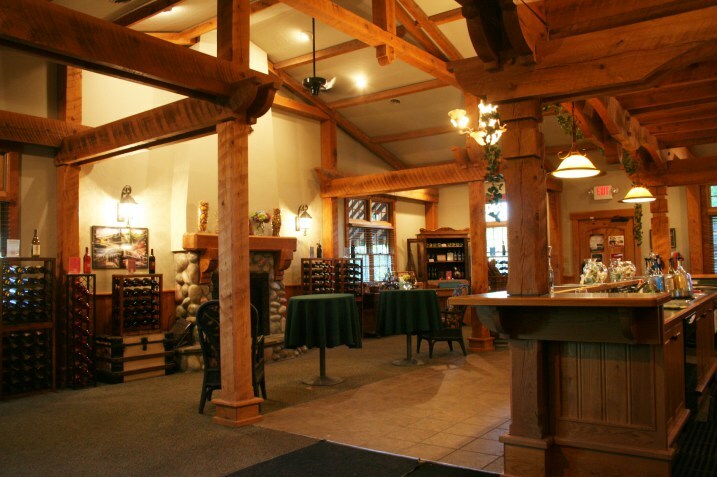 When you enter the Ciccone Vineyard Tasting Room, you are transported to another era with its rough-cut beams, stone fireplace and charming decor inspired by the Ciccone’s roots in northeastern Italy. Currently, Ciccone has 14 acres of mostly European varietals planted; Cabernet Franc, Pinot Noir, Pinot Grigio, Chardonnay, to name a few. We were the first to plant Cabernet Sauvignon and Malbec, and the only ones to grow Dolcetto, an Italian varietal and our “signature” grape. Besides producing award winning wines, they offer the most beautiful setting for your Northern Michigan wedding. Situated atop the highest hill on Hilltop Road, with panoramic vistas of vineyards and West Grand Traverse Bay, our team of professionals will assist in the creation of the wedding of your dreams, or elopement...and all of life’s celebrations! Find us on Facebook, Twitter, Instagram, and Google+.